the moment i laid eyes on you, you stole my heart. 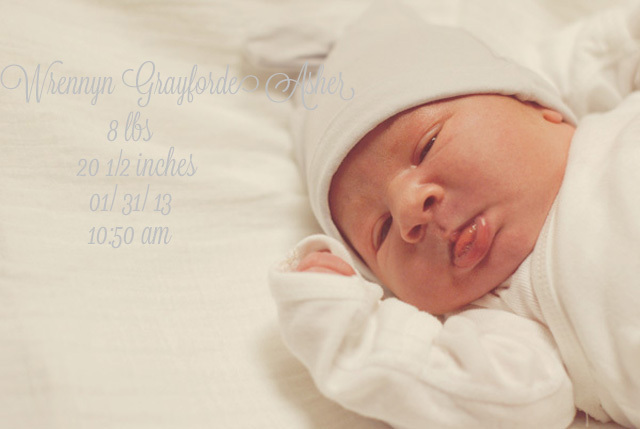 welcome to the world our sweet, sweet boy. He is absolutely adorable, congrats to you and your beautiful family. Thank you sooo very much! Gratulacje! :-) in polish from ladnebebe :-)))! Beauty! I've been following your blog for a short time, but I wanted to say that your boys are adorable! Welcome to the new baby. How do you pronounce his name? I love all your boys names, so special.